Looking for Best Buy Job Application? You’re in the right spot! 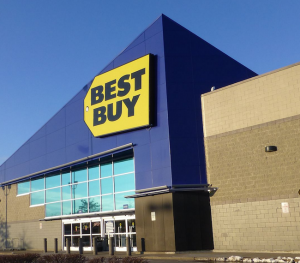 Best Buy is a North American based electronics retailer, and they have become one of the best known “big box” stores when it comes to purchasing a computer or other high end electronic devices. If you have an interest in computers and other gadgets, this is a great place to begin a career. Before you apply, here’s all that you need to know. Best Buy has a number of different job opportunities available at each location. Cashiers, store associates, customer service specialists, and Geek Squad technicians are just a number of the highly visible positions within the company. There are also supervisory and management positions available through the company, as well as upper management and corporate roles. Cashiers and associates can expect to make somewhere between minimum wage and $10 per hour. If you are just starting out with the company, expect to be on the lower end of this scale. Once an associate has been with the company for several years, their pay can go as high as $13 per hour. Those that work in Geek Squad will make a bit more than this, especially once they gain experience. This is a technical job, and requires knowledge on how to make repairs and updates to computers, install things, and there is often travel required. Managers and corporate roles can make as much as $60,000 per year, starting out. Of course, this depends upon your location and the role you play within the company. Assistant managers, and those in lesser, supervisory roles, can expect this number to be down closer to $30,000 per year. Best Buy has a reputation for carrying high quality merchandise and having a very knowledgeable staff. 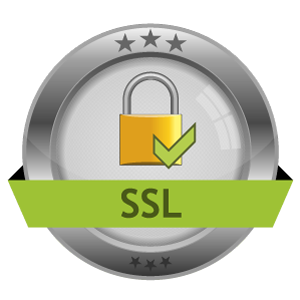 This has helped them land in a solid niche within the computers and electronics industry, and it has given them a solid stream of customers, many of which go their specifically because of the customer service that is offered. This means job stability is in place for dedicated employees. They do their part to take care of those that work for them, too. They offer benefits like 401(k) retirement accounts, paid time off, medical insurance, employee stock purchase plans, and store discounts on certain items. You must work a certain number of hours to qualify for these perks of the job, though. Those in management roles are sometimes able to earn bonuses, too. You must be 16 to work at Best Buy, although they do prefer older employees. To be considered for a full time position, you need to be 18 years old and have a high school diploma. Not all positions require a college degree, but if you wish to work in Geek Squad, having a background in computer science or a proven work history here can be extremely helpful to getting your foot in the door. Best Buy has earned a reputation as being very customer oriented, and very knowledgeable when it comes to tech issues, so having a background in computers or at least a strong interest in them is a must if you want to be in the running for a position. Best Buy employees are expected to be hard workers, put the customers’ needs first, and do what is helpful to increase sales numbers for the company. You are expected to be prompt and present every time you are scheduled to work a shift, and you should have a polite and professional attitude at all times. To get started in a career at Best Buy, you can apply at a specific store, or online. If you wish to apply online, go to their website. Down at the bottom of the page, there is a link titled, “Careers.” Click this, and you will be able to search job openings by location. Find the one you want, then click the link to fill out the application. Set aside enough time (about 30 minutes) to make sure that you have everything completed without distractions. At your interview, bring a resume that highlights any sort of customer service, sales, or tech positions and experience that you have. Be polite, dress nicely, and have some questions of your own prepared to prove that you are truly interested in this opportunity. As part of being prepared, it’s important to research the job you’re applying for. By researching Best Buy through these recommended external resources you’ll understand what a potential employer might be looking for in a job applicant. You can use these resources to help prepare for a job application or interview.